In a world with a ballooning population and deteriorating environment, we will need to use every trick in the book to stave off mass starvation, disease and political chaos. According the Food and Agriculture Organization of the United Nations, there are 795 million people (more than 10% of the world population) who are chronically undernourished. This includes 161 million children, of which 3.1 million die from hunger each year. We need to double food production, with less land and less water, and prevent further environmental degradation. One of the most promising approaches is genetically modified (GM) animals to produce more food with less, and improve animal health and welfare. The first genetically modified animal has at last been approved by the FDA for the marketplace. The GM AquAdvantage salmon is a strain of Atlantic salmon that was derived by adding a growth hormone gene from another salmon species. It grows much faster and more efficiently and therefore can feed more people for the same resource inputs. There are several other animal strains already developed that grow faster and more efficiently, produce less waste, are resistant to disease or produce novel products of benefit to humans. These include breeds engineered to solve specific problems in developing countries. For instance, there are cattle that cannot get or transmit mad-cow disease; pigs that produce less phosphorous pollution; pigs that develop more and leaner muscle; pigs resistant to African swine fever; and goats that produce milk containing an enzyme that could prevent deadly diarrhoea in a million children per year in developing countries. Some of these strains have been ready to go for more than 10 years but they are still not being used to alleviate problems of malnutrition and disease. Much of this is due to opposition to GM foods. Opposition to GM has come largely from the affluent West, although opponents are being recruited in India and China. But concerns about safety have proved to be illusory, for the most part being more a product of ignorance about how genes work rather than being based on any evidence. Nobody has ever died, or even got sick, from eating GM food. Safety regulations around GM foods are stricter than those that protect us from poisons or bad food. And GM foods are the most extensively monitored and regulated for safety in the history of the world. Another fear is of the possible escape of inserted genes into the environment. These concerns have been met by stringent containment requirements; for instance, AquAdvantage salmon must be grown in onshore tanks. Some existing companies are concerned about the effect of GM animals on their business. Issues around price, market share (e.g. salmon fisherman) and acceptability in European markets are real, but comparatively minor. 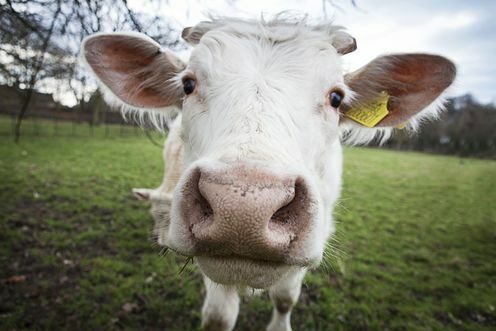 It is unlikely that the availability of GM animals would restrict the choice of animal breeds. Beef cattle are very distributed, with many breeds and producers, and pigs and chickens are already controlled by a small number of breeders. Any new technology – think vaccinations, microwave ovens, even the provision of internal doors in houses – has initially been fiercely resisted. This usually resolves with time and experience. Ideology is perhaps the most insidious force. There remains a quaint idea that we should not “tamper with nature”, despite the thousands of years of civilisation during which we have been doing just that by conventional, selective breeding. 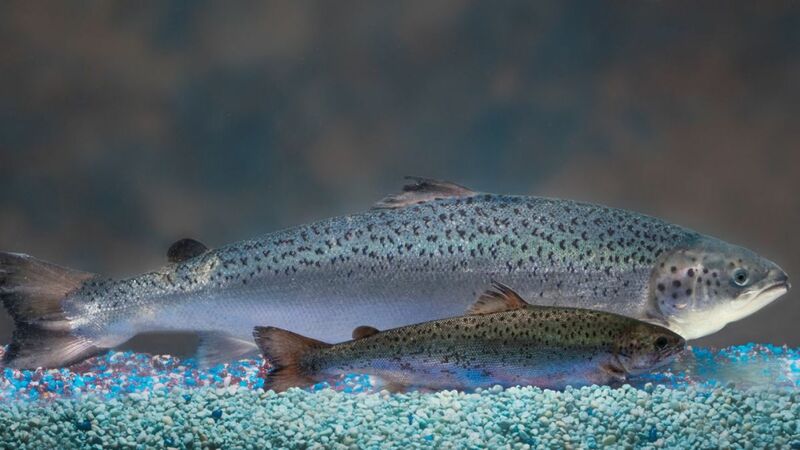 The AquAdvantage Salmon was recently approved for sale by the US Food and Drug Administration. Approval of GM salmon was not exactly a rush decision; it has been more than 20 years since the first application for approval. Nor will it provide a cheap and available source of protein since it is subject to onerous regulations, and the means of production is limited. The worldwide regulatory dysfunction around the breeding of GM animals to produce food for human consumption has effectively limited advancement in this field. Expensive delays and uncertainties have stopped work and limited capacity building in virtually all the developed countries that were first to develop this technology (Australia, Canada, Germany, New Zealand, the United Kingdom and the United States). At present, there appears to be little corporate support for using GM animals in agriculture. In the face of steep regulatory costs and long timeframes, even removing the roadblocks to approval may not be sufficient to renew commercial interest. New laboratories undertaking the creation of GM livestock for use in agriculture are almost exclusively limited to Brazil, Argentina and China, where new breeds with extra muscling are already available. A real impact, and the one that may seriously affect Australia, is how rapidly economies such as China and India will now move forward. China has put more resources into developing GM farm animals than the rest of the world combined over the past decade, and India is also now moving to establish laboratories in this area. Will the West – including Australia – be left behind, or will sanity return and allow the new technologies to be applied? The newest technology for improving food plants and animals – gene editing – does not use genetic engineering techniques to insert or replace bits of DNA. Instead, there are genetic tricks for simply tweaking the genetic code in known ways. Why wait for a cosmic ray or a replication accident to make a favourable change in the genetic code? This can take many years because most natural mutations are bad. Now geneticists can alter the code in known ways to improve the growth, environmental tolerance, disease resistance or nutritional value of the organism. This technology is already being used to create new animal breeds, such as micropigs developed in China as pets. It seems bizarre that GM breeds are readily available as exotic pets but not to alleviate hunger in developing countries. Gene editing is extremely efficient, and leaves no trace. So a new strain will be indistinguishable from a random mutant. This may make stringent regulation unnecessary, or even impossible. GM technology and gene editing have the potential to produce a historic advance in food availability. In the absence of serious safety or welfare concerns, we must question the ethics of comfortable, affluent Westerners imposing their lifestyle choices on millions of undernourished people. James D Murray receives funding from the USDA. He works for the University of California and collaborates with the CSIRO. Jenny Graves received funding from ARC and NHMRC.